A comfortable room is one of the most important values guests seek when choosing a fine hotel. The IBEROSTAR Bávaro Suites Hotel wants you to enjoy the luxuries of its modern facilities while feeling the comforts of home. We have 448 fully equipped Junior Suites available, all tastefully appointed in warm, inviting decor and designed to meet any of your traveling needs. 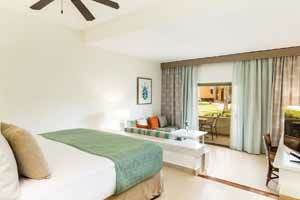 Travelers staying at the IBEROSTAR Bávaro, on the beautiful Dominican Republic, can choose the 485 sq. ft. Junior Suite. 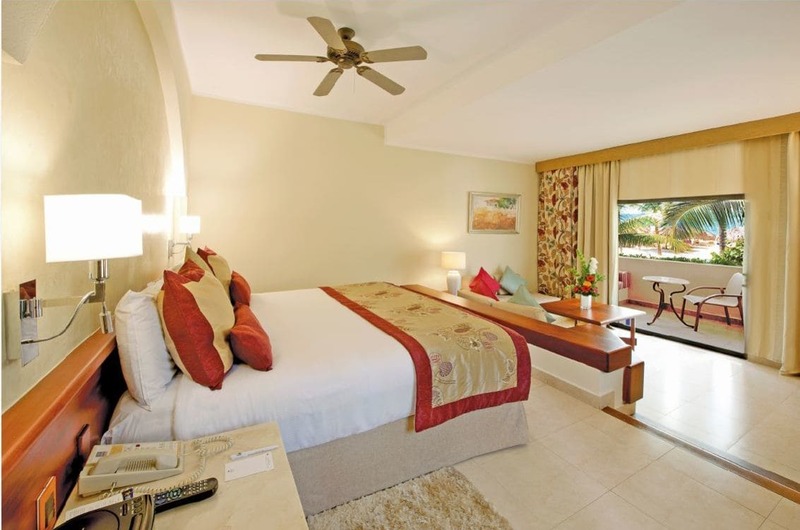 This room features 2 double beds or 1 king bed and a convenient private balcony with garden views. There are 6 handicap suites available in this room category. The Superior Junior Suite is a spacious (485 sq. ft.) guestroom with 2 double beds or 1 king bed, and a private balcony or terrace with garden or lake view. Maximum occupancy 2 adults + 2 children or 3 adults + 1 child, in existing beds. 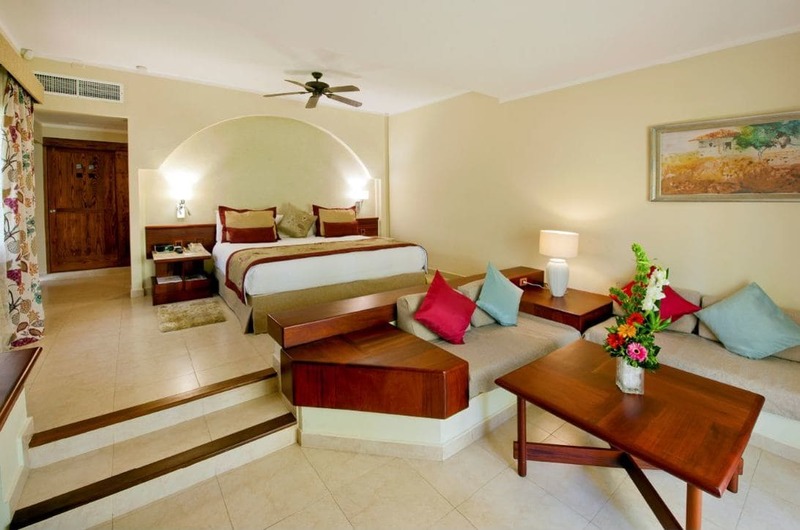 IBEROSTAR Playa Bávaro, in the Dominican Republic, features this beautiful 485 sq. ft. suite with 1 king bed. The Spa Junior Suite also features a private balcony with garden or lake views and is located near the spa. Maximum occupancy: 2 adults + 2 children or 3 adults + 1 child, in existing beds. 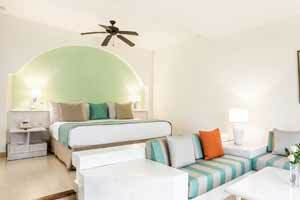 Travelers staying at Playa Bávaro at the IBEROSTAR Bávaro hotel will enjoy the comforts of the spacious 485 sq. ft. Ocean Front Junior Suite. 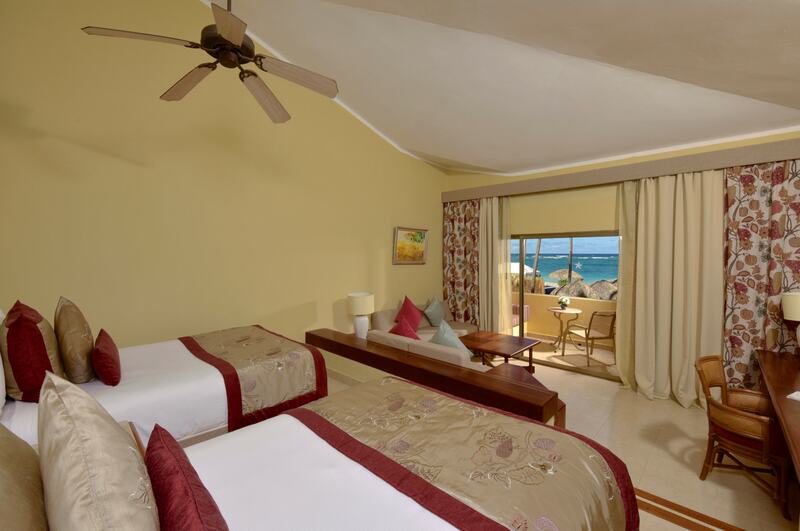 The suite sits on the second level, in front of the ocean and features 2 double beds or 1 king bed with a private balcony. Maximum occupancy: 2 adults + 2 children or 3 adults + 1 child, in existing beds. IBEROSTAR Bávaro provides its guests with one of the finest Dominican resort experiences. 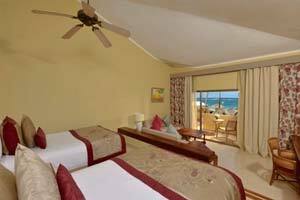 The Superior Ocean Front Junior Suite has a total area of 485 sq. ft. and features 2 double beds or 1 king bed. This room is on the first floor and has a jacuzzi sitting on the balcony that overlooks the sea. Maximum occupancy: 2 adults + 2 children or 3 adults + 1 child, in existing beds.